This article is 552 days old. 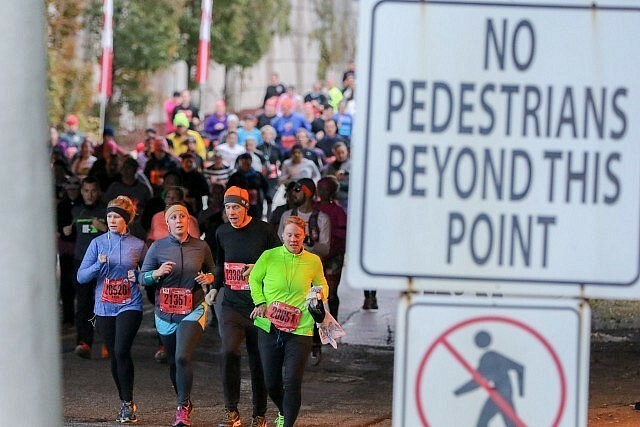 The annual Detroit Free Press Marathon takes place on both sides of the border this Sunday, and Windsorites are encouraged to line the marathon route to cheer runners on. The Marathon makes its way over the Ambassador Bridge, and along Huron Church to Riverside Drive to Goyeau to the Tunnel from approximately 7am to 9:45am. The Detroit-Windsor tunnel will be closed to all vehicular traffic starting at 7am. Any runners who have not entered the tunnel by 9:45am will be picked up by a bus and driven through the tunnel so the tunnel can open at 10am. Huron Church Road will be closed from the bridge entrance to Riverside Drive from approximately 7am to 8:45am. Transit service in Windsor will be disrupted on many routes during the race. You can see those here.